Grant Writing Workshop, WEL Program Application, & More! 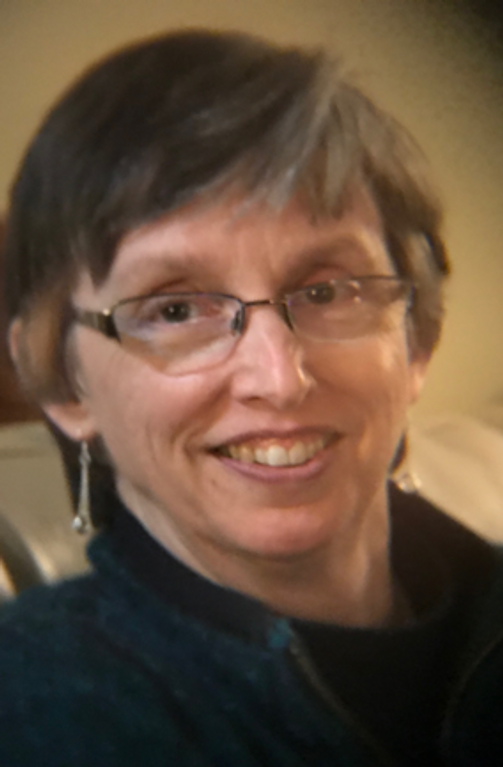 I’m pleased to share that Amy Lytle has started her sabbatical as part of the Z. Smith Reynolds Sabbatical Program and will return to HandsOn NWNC in August. We will miss Amy, but the time apart will give Amy time to reflect on her lengthy career with HandsOn and we know she will be invigorated and full of great ideas when she comes back! In the meantime, the work at HandsOn continues on with a dedicated and committed staff. If you haven’t had a chance to view our new website, you really should. We’d love to hear your feedback on what you think of the changes we’ve made. We tried to improve the visitor experience and make the website more intuitive for both our supporting partners and potential volunteers, and we hope we’ve succeeded. As a board member of HandsOn for the past few years, I continue to be in awe of all the ways this organization works to strengthen and improve nonprofit capacity. Not only by marketing volunteer opportunities to those who wish to find their perfect match in an organization – but by offering an abundance of classes and workshops designed to improve nonprofit leadership and board governance throughout the communities we serve. There are so many nonprofit leaders who already know the value of a relationship with HandsOn, but there are many more who do not. So, do us a favor and please share the great work that HandsOn is doing with your colleagues and friends. Let them know it is only $50 to become a Supporting Partner and the information provided in this monthly newsletter alone is worth the $50. We continue this month with our Grant Writing workshop, which is part of the Nonprofit Essentials program we offer annually. We’re thrilled to have Susan Brittain leading this workshop, thereby helping participants understand grant terminology and how to write an effective (and winning) grant proposal. The class is June 21 from 12:00 noon to 4:30 p.m. at the Winston-Salem Foundation building. Read more here (link to the class description you will include below). Thank you for your continued support of HandsOn NWNC and thank you in advance for sharing the value of our organization with your peers. Applications Now Open For Our Women's Emerging Leaders Program! There's still time to apply for our Women's Emerging Leaders program! If you are a mid-level, female, nonprofit staffer looking for a world-class leadership development opportunity, along with a better understanding of nonprofit operations, and the opportunity to meet other women like yourself--then our Women's Emerging Leaders program is for you! This ten-month program is specifically designed for women looking to build their career path within the nonprofit sector and provides the skills and tools needed to expand your professional horizons. The program begins with Leadership Essentials for Women , scheduled for Wednesday, August 29th through lunch on Friday, August 31st, and then the cohort feeds into our Nonprofit Essentials series. (You'll note that the cost of WEL is actually *cheaper* than the NPE series alone--get more for less!) 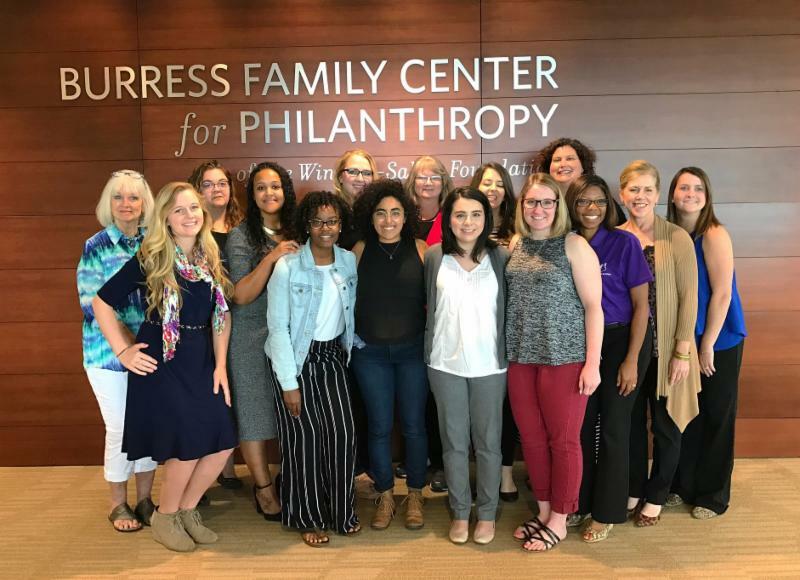 While the program is geared towards mid- level female staff, it is also now open to new female Executive Directors and women who lead small and emerging nonprofits serving people in Forsyth, Davidson, Davie, Stokes, Surry and Yadkin Counties. COST: $400 for Supporting Partners/ $450 for all others. Apply Today--Due Date is June 29th! Supporting Partners can register for the entire 10 class series for just $450! (The cost is $550 for all others.) Payment plans are available. All classes include a networking lunch and extensive take-home materials. Pathways (a program of Love Out Loud) will be holding a training on how to post your organization's volunteer opportunities on HandsOn Connect. Pathways is using this platform to help connect volunteers to nonprofits throughout the city. Come and learn how to best leverage HandsOn Connect for your organization! Don't Miss CapDev's "in touch" Philanthropy Workshop! HandsOn NWNC Network Members Get Additional Discount to the Service Unites Conference! Service Unites , powered by Points of Light , is the world’s largest service-related convention, bringing together more than 2,000 nonprofit, government, business and civic leaders to gain and share the knowledge, resources and connections needed to galvanize the power of people to create change globally. Taking place June 18-20 in Atlanta , this year’s event features inspiring leaders, activists and entertainers who are at the forefront of social change; and 12 diverse learning paths with more than 100 workshops that dive deep into key issues facing the volunteer sector as we seek to grow and innovate in this rapidly changing world. Amy is such a fan of this conference, Points of Light recently published her blog post about the top five reasons you should attend! Crosby Scholars Seeks Part-Time Administrative Assistant! Crosby Scholars Program, a HandsOn Supporting Partner, provides college access services to students in grades 6-12 in the Winston-Salem/Forsyth County school system. Serving more than 11,000 students per year, the program is available to all students who submit an application and make a commitment to be good citizens in their school and community, to remain drug-free and to strive for academic excellence. Students must attend Crosby Scholars Academy, participate in community service, and uphold the terms of the Crosby Scholars Partnership Agreement. This part-time position will provide administrative support to the Program’s middle school division. Duties include assisting with mailings, designing reports and generating lists to support programs and events for the middle school program, data entry, ordering supplies for special programs, preparing certificates and reminders, and coordinating Crosby Scholar Academy and other special programs. Some public speaking required. For more details, please review the position description. Candidates should e-mail a resume to Tara Stokes, Middle School Coordinator. The position will remain open until it is filled. Aetna Foundation to Support Healthy Communities! The Aetna Foundation is dedicated to promoting wellness, health, and access to high-quality healthcare for everyone. The Foundation's Cultivating Healthy Communities grant program is intended to help local communities become healthier places to live, with emphasis on projects that benefit underserved, low-income, and minority communities. Grants are provided to nonprofit organizations and government agencies committed to improving the health of their participants by focusing on activities that align with at least one of the following five domains: Healthy Behaviors, Community Safety, Built Environment, Social/Economic Factors, and Environmental Exposures. Applicants can request from $50,000 to $100,000 for projects lasting between 18 and 24 months. Organizations with annual operating budgets below $250,000 are not eligible to apply. Stage 2 applications are due June 15th. Visit the Foundation’s website to download the request for proposals. N.C. Senate is Considering Legislation That Could Improve Health Care Options for Nonprofit Staff ! ﻿T he N.C. Senate Health Committee is considering a bill that would make it easier for nonprofit associations to pool together to form association health plans. If it passes, this could create an opportunity for nonprofits to include their employees in a larger pool to form a group health plan with better options and more price stability than the plans that are currently available to individual nonprofits. The Center has heard from many members that health care costs, price instability, and plan administration are major operational problems. We are actively pursuing options that will provide better and more affordable health insurance options for nonprofits to provide to their employees. The committee is likely to vote on the bill next week, and the full Senate could then take action.